ON SALE: This is for a Roland MDS-25 Drum Rack Mount Stand. Works great. One of the rubber sleeves on the very right is missing but is not needed since no cables run through that side and if you wanted could still put cables through. Roland’s original Octapad profoundly changed the landscape of electronic percussion. There are 30 types of internal multi-effects onboard, plus EQ, limiter, and seven Ambience types. Based on Roland’s world-leading effects technology, theOctapad SPD-30 ’s multi-effects engine will take your performances to another level. Roland’s original Octapad profoundly changed the landscape of electronic percussion. Roland® Octapad® SPD-30 - White (Version 2, newest model) with Roland® #CB-BOTC Heavy-duty Soft Case. THE REINVENTION OF THE OCTAPAD®. Roland OCTAPAD SPD-30 Digital Percussion Pad Mini Kit - Black - QTY 1. What's included in this bundle Pearl D50 Drum Throne - QTY 1. Our service doesn't end with the sale either. The D50 throne features a round vinyl covered cushion, double braced tripod, and is height adjustable with a pin lock. The original Roland OCTAPAD was adopted by musicians worldwide and set the standard for future percussion pads. The OCTAPAD SPD-30 combines cutting-edge drum and percussion sounds with the latest triggering technology, a Phrase Loop function, USB MIDI, and much more. SPD-30 has 8 isolated drum pads that make use of Roland's advanced V-Drum technology and the ability to expand with inputs for four pads, triggers and pedals. Roland OCTAPAD SPD-30. Of course, the KT-10s pro feel, noise-reducing features, and portable convenience make it perfect for use with any V-Drums kit as well. Ya que el sonido de la pata o bombo es increíble, justo con los tambores electricos muy dynamicos y no se diga la tarola. This lightweight percussion stand features a double-braced design for extra stability. This stand is a great addition to electronic and hybrid drum kits. This mounting plate fits most electronic module and fits into grabber clamp of 6713E stand. For decades, Roland has been a leader in electronic percussion technology. With the OCTAPAD SPD-30, an exciting new chapter in Octapad history begins. Includes new percussion sounds from around the world, plus 30 types of multi-effects. Roland SuperNATURAL Digital Portable Piano. Light and portable, it’s a great fit for performing players and music classrooms as well. SuperNATURAL Piano Sound. Twin Piano. Piano: 6 Tones. Accessory pedal. 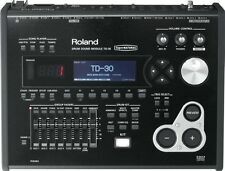 Compatible Roland Rack for Octapad SPDS, SPD20, SPD30. You are looking at a Roland universal stand rack. This kit sets you up with a Roland OCTAPAD SPD-30 percussion multi-pad and everything you need to use it as a compact, highly portable electronic drum kit. This kit includes Roland OCTAPAD SPD-30 - Black. Prolongación multiclamp Fierro para pata de soporte de octapad, regulable en altura. Posee los 4 agujeros estandar. largo 80 cm peso 4 kg Cromado y Zamac Pulido Origen: Taiwan. Incluye base para octapad y extensión multiclamp. Roland's unique Behavior Modeling Technology. ■ Fader 8 (KICK, SNARE, TOMS, Hi-HAT, CRASH, RIDE, AUX, AMBIENCE). · Reverb for backing part, Chorus for backing part. ■ Number of drum kit: 100. ■ Number of sounds: drum · install = 1,100, backing · install = 262. Up for sale is a used Roland Octapad SPD-30, with foot pedals as shown. Stand is not included. Roland octa pad SPD phrase loop featured. AC95-100V / 50-60hz, Plug Type A. Therefore we cannot make a definite promise that manufacture branches of your country can accept repair. Warranty period is complied with manufacuture regulation. AUTHORIZED ROLAND DEALER! FACTORY SEALED! WARRANTY! SPD-30 has 8 isolated drum pads that make use of Roland's advanced V-Drum technology and the ability to expand with inputs for four pads, triggers and pedals. Roland OCTAPAD SPD-30 Digital Percussion Pad. Trending at $974.64eBay determines this price through a machine learned model of the product's sale prices within the last 90 days. Roland SPD-30 Octapad The Roland Octapad SPD-30 blends the world's most essential sounds with the latest percussion triggering technology. Roland's original Octapad profoundly changed the landscape of electronic percussion. The latest pad-sensing technology developed for V-Drums provides even and accurate pad triggering with excellent isolation between pads. Large backlit LCD and pad indicator lights for easy operation in low-light conditions. You can also layer two sounds per pad to create an infinite number of sound combinations.Multi-EffectsBased on Roland's world-leading effects technology, the SPD-30's multi-effects engine will take your performances to another level. For decades, Roland has been a leader in electronic percussion technology. With the OCTAPAD SPD-30, an exciting new chapter in Octapad history begins. The OCTAPAD Legend Continues. Pad Status Illumination x 8 (LED). Roland’s original Octapad profoundly changed the landscape of electronic percussion. Forty-nine exciting new kits have been added to the OCTAPAD for even more creative possibilities. You can back up your own original OCTAPAD SPD-30 kit data and import it into Version 2. Compatible and similar Roland Rack similar to APC-33 all Purpose clamp set electronic drums. You are looking at a Roland universal stand rack. All-purpose clamp set. In combination with Roland's super-sensitive drum pads, Behavior Modeling makes sure that all the nuance you play with gets captured. Timbre number: drum / installation = 1.100, backing Installation = 262. Compatible Roland Rack similar to APC-33 all Purpose clamp set electronic drums. You are looking at a Roland universal stand rack. All-purpose clamp set. MDP - 7 is a Mouting Plate for mounting V-drum sound source (for TD-30 / TD-50). Official ROLAND V-drum sound source mounting plate. MDP-7 (for TD-30 / TD-50). This Roland OCTAPAD is fully loaded with endless sounds to create all styles of music. Plug into your computer and combo it's sounds with your programs. There is one knob missing in the pictures that should be floating around my van as they just pull of and on, will be sure to put on before mailing. I highly recommend this for anyone into any type of drumming. Add it to your full kit and let the creative juices flow. Comes with Manuel, Stand, & cables. Everything works as it should, it's in great condition. 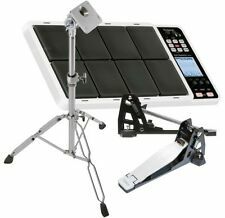 New ListingRoland SPD-30KIT Octapad Mini Kit White FREE SHIPPING! The SPD-30 Octapad features 4 dual trigger inputs for connecting a host of other devices, pads and triggers. Want a portable mini-set you can bring to a gig that won't accommodate your 40-piece Super-Kit?. Roland's original Octapad profoundly changed the landscape of electronic percussion. Now, decades later, another exciting chapter in Octapad history begins. The Roland Octapad SPD-30 blends the world's most essential sounds with the latest percussion triggering technology. Rolands original Octapad profoundly changed the landscape of electronic percussion. THE REINVENTION OF THE OCTAPAD. The latest pad-sensing technology developed for V-Drums provides even and accurate pad triggering with excellent isolation between pads. Roland OCTAPAD SPD-30 Digital Percussion Pad Mini Kit - QTY 1. What's included in this bundle Pearl D50 Drum Throne - QTY 1. Our service doesn't end with the sale either. The D50 throne features a round vinyl covered cushion, double braced tripod, and is height adjustable with a pin lock. 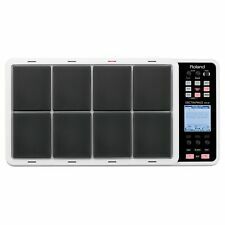 Roland OCTAPAD SPD-30 Digital Percussion Pad - QTY 1. This lightweight percussion stand features a double-braced design for extra stability. This stand is a great addition to electronic and hybrid drum kits. 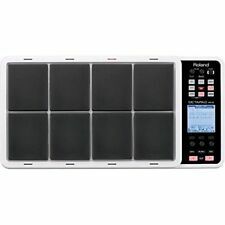 Roland SPD-30KIT Octapad Mini Kit White FREE SHIPPING!